In a hard-line decision, a deputy governor of Central Bank of Nigeria and four deputy directors have been suspended by the apex bank Governor, Mr. Godwin Emefiele, for failing to follow financial regulations and due process, leading to the scamming of the bank by fraudsters. THISDAY gathered last night that the suspended Deputy Governor, Financial System Surveillance, Joseph Nnanna, responded to some spam emails without first cross-checking the authenticity of the mails and following CBN stringent payment process before authorising the release of funds when the governor and several senior officials of the bank were on a flight to China last month. The names of the affected deputy directors could not be ascertained but they include the deputy director in charge of payment, the deputy director trade and exchange department, and the deputy director in the office of the governor, who heeded Nnanna’s directive to pay when they themselves ought to know CBN’s payment due process. THISDAY gathered that $441,000 was initially lost to the scammers. $251,000 was however blocked and recovered, leaving a balance of $190,000, which had already been cashed by the fraudsters. Two of the scammers were however caught in Dubai, United Arab Emirate and are currently being questioned by investigators. From their modus operandi, the scammers apparently timed the execution of the fraud to take place when the CBN governor and other deputy governors were out of the country. 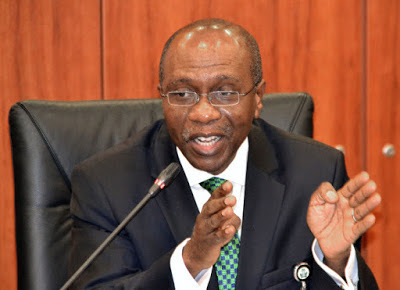 Emefiele was said to have wielded the big stick by suspending the affected top officials because the CBN has laid-down procedures for the release of funds, none of which was followed in this particular case. Sources within the bank said following the incident, the governor had warned that henceforth any such infraction would be summarily dealt with. A statement posted on CBN website only stated that the bank had uncovered and aborted fraud without giving details. The four-paragraph CBN statement signed by the Ag. Director, Corporate Communications, Isaac Okoroafor, and titled, ‘CBN Uncovers and Aborts Fraud,’ reads: “A highly sophisticated plot to defraud the Central Bank of Nigeria (CBN) by some criminal minded elements has been uncovered and aborted by the bank. “Although preliminary investigations so far have not revealed any accomplices within the CBN, management has decided to place all key personnel involved in the transaction on suspension. “This is to ensure a full and unfettered investigation. Hackers have been on the prowl lately breaching accounts of banks around the world. Recently, hackers breached Bangladesh Bank’s systems and attempted to steal nearly $1 billion from its account at the Federal Reserve Bank of New York. Though a typo error by the hackers aborted their $1billion heist, they however netted more than $80 million before the cyber heist was uncovered. They then bombarded the Federal Reserve Bank of New York with about three dozen requests to move money from the Bangladesh Bank’s account there to entities in the Philippines and Sri Lanka. Four requests to transfer a total of about $81 million to the Philippines went through, but a fifth, for $20 million, to a Sri Lankan non-profit organisation was held up because the hackers misspelled the name of the NGO, Shalika Foundation, prompting a routing bank, Deutsche Bank, to seek clarification from the Bangladesh central bank, which stopped the transaction.